The IRS Fresh Start Program Initiative, first announced February, 2011, has had one goal: to make it easier for individuals and businesses to pay their back taxes and penalties. The Initiative has been expanded since then, but still holds true to its original purpose. How exactly will it affect you if you’re struggling to pay up? Here are the four components that Fresh Start Program has changed for your benefit. Back in the bad old days, the image of the IRS was one of intimidation. Whether deliberately cultivated or not, the IRS did little to dispel this perception. In recent years, the IRS has sought to reboot the way it interacts with taxpayers, with agents receiving training and instruction in how to assist taxpayers who are in arrears rather than torment them. The IRS Fresh Start program combines penalty relief, installment payments; lien releases and a program known as Offer in Compromise that allows some taxpayers to settle their federal tax debts for less than what they actually owe. Originally, when paying and filing your taxes, missing the April deadline meant immediate interest charges and penalties. But with the Fresh Start Initiative, qualifying unemployed taxpayers can apply to have Failure-to-Pay penalties waived for six months. 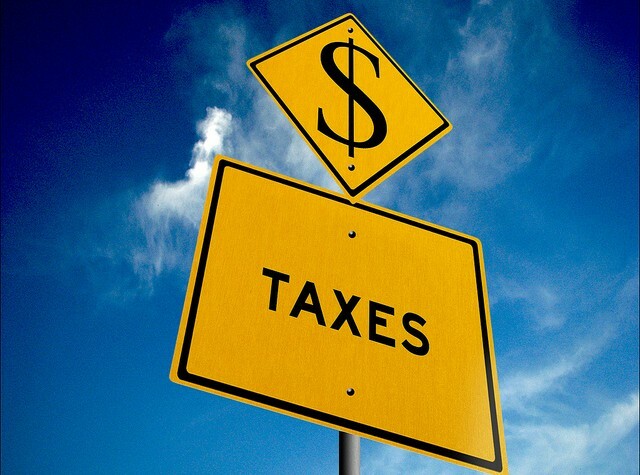 This means that individuals have until October 15th, 2013 to pay their 2012 taxes. The six-month extension is available to individuals who were unemployed for at least 30 consecutive days during 2012, or prior to tax day in April 2013. For self-employed taxpayers to qualify, they must show that they had a 25 percent decrease in business income during 2012. Couples earning more than $200,000 annually, or individuals earning more than $100,000 annually do not qualify for the extension. If a person’s tax balance was greater than $50,000 at the end of 2012, they are also disqualified. The IRS Fresh Start Tax Relief program was launched in 2012 to help taxpayers who were struggling from the effects of the ongoing financial crisis. The first aspect of the program provided some unemployed taxpayers with exemption from the failure-to-pay penalty. Under this initial slice of the Fresh Start Initiative, taxpayers received a six-month reprieve from penalties on taxes owed for their 2011 federal tax returns. Although interest was still applied to any unpaid taxes, penalties were suspended from April 17 to October 15, 2012. To qualify for this aspect of the initiative, wage earners must have been unemployed for at least 30 consecutive days during 2011 or in 2012 on or before April 17. Self-employed taxpayers must have experienced at least a 25 percent reduction in income during 2011 due to adverse economic conditions. The IRS also set maximum income limits of $200,000 for married taxpayers filing jointly and $100,000 for taxpayers filing returns as single, head of household, qualifying widow(er) and married filing separately. Taxpayers were required to file Form 1127A along with their federal income tax returns. The IRS Fresh Start Program also raised the maximum tax owed for taxpayers from $25,000 to $50,000 to qualify for streamlined repayment plans. Under the streamlined installment payment agreement program, taxpayers may establish payment plans online through the Online Payment Agreement page located on the IRS website. Taxpayers who owe more than $50,000 may still establish installment agreements, but must either file a Collection Information Statement (Form 433-A or Form 433-F) or make sufficient payments against their past-due tax balance to bring the total tax owed below the $50,000 threshold. An Offer in Compromise, according to the IRS Fresh Start Program allows taxpayers to settle their obligations to the IRS for less than the total amount owed. The IRS only allows taxpayers to obtain relief under the Offer in Compromise program in circumstances where requiring repaying the full back taxes owed would constitute an undue burden or in cases where taxpayers demonstrate that they will be unlikely ever to be able to pay the full amount owed. Traditionally, the IRS has been stingy about accepting Offer in Compromise proposals from taxpayers; as a result, very few taxpayers were able to qualify for the program. An Offer in Compromise may be either for a single lump-sum payment or for installment payments. To request an Offer in Compromise, taxpayers must submit Form 433-A (OIC) for individuals or Form 433-B (OIC) for businesses along with either $186 to cover the application fee and either a payment of 20 percent of the proposed lump-sum payment or an amount equal to the first proposed monthly installment payment. Individuals and sole proprietors who qualify under Low Income Certification guidelines set by the IRS are exempted from paying the application fee. Installment agreements allow a person to make monthly payments on their tax debt if they can’t afford to pay the total at once, and/or aren’t eligible for an Offer in Compromise. In the past, once an individual’s tax balance reached $25,000, the IRS began conducting a financial analysis of the person’s income and expenses to determine how much the taxpayer would pay per month. Additionally, a Notice of Federal Tax Liens was filed. Under Fresh Start, more taxpayers will be able to avoid this invasive process altogether, as the tax balance threshold has been raised to $50,000. At that point, once the installment agreement process is started, you’ll now have six years to pay the debt off. If you are considering entering an installment agreement, let us know and we’ll make sure you qualify. If an individual fails to pay their tax debt the government can file a claim against that person’s property with a federal tax lien. “Property” includes everything an individual owns, including real estate, vehicles and financial assets. The Notice of Federal Tax Lien alerts creditors that the government has a legal right to a taxpayer’s property. This may limit your ability to get credit. Similar to installment agreements, FSI has raised the Notice of Federal Tax Lien filing threshold to $10,000 from $5,000. The IRS might still choose to file at an amount less than $10,000, but it’s not as automatic as before. While none of these alternatives represents an easy solution, each of them does provide a viable avenue for tax relief. If you have been struggling to pay your federal income tax burden, investigating possible assistance under the IRS Fresh Start Tax Relief program is definitely worth your while, either on your own or with the assistance of a tax professional. You may find that your overall tax burden is significantly reduced. Wondering if you’re eligible? Give us a call. If you’re struggling with paying your taxes, don’t know how to fill out an Offer in Compromise or don’t know which forms to file, contact us today. We’ll help you take advantage of the Fresh Start Initiative, and deal with the IRS so you don’t have to. what about if you have not filed for taxes in 10 years? I don't think I owe much, but may owe some. And now I feel like I will be alerting the IRS to it if I try to do anything at all. Any ideas? Is it true that when you do the offer in compromise you are required to sell all you assets ? I owe 20,000 dollars on my 2010 return. Can I make an offer in compromise? I owe the irs about 15,000.00. Is there anyway to settle on an amount? It depends on your unique situation. Best bet is to give us a call and enjoy a free consultation. Hi there Jaxon, sounds like something we can help you with. Give us a call at 800-536-0734. Thanks! Three years ago we went through a lengthy audit ordeal with the IRS. It went on for months and lots of digging into our past financial records. It was finally determined by the IRS agent that our case was "closed and uncollectable". However, a lien was filed on our personal residence. We could live with that. I was able to move on and basically stopped worrying about any IRS surprises. We were also told from hat point forward to file and pay our taxes in a timely manner. And we have. Two months ago I received about 6 notices in the mail from the IRS stating how much money we owed for 6 separate years going back even further than the audit. I was beside myself. I didn't want to tell my husband because I knew how upset he would be. I put away the notices pretending they didn't exist. I have been depressed since that day and cannot face dealing with the IRS again. I heard this ad on the radio and hope this could be the help I need. Has anyone used this program or has any advice?